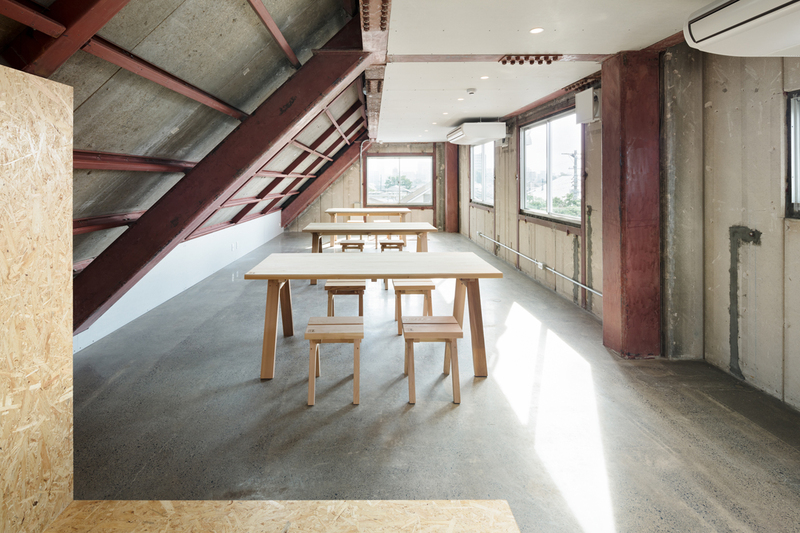 It was such a great honor for me to design the renovation of my favorite building that I used to see every day. 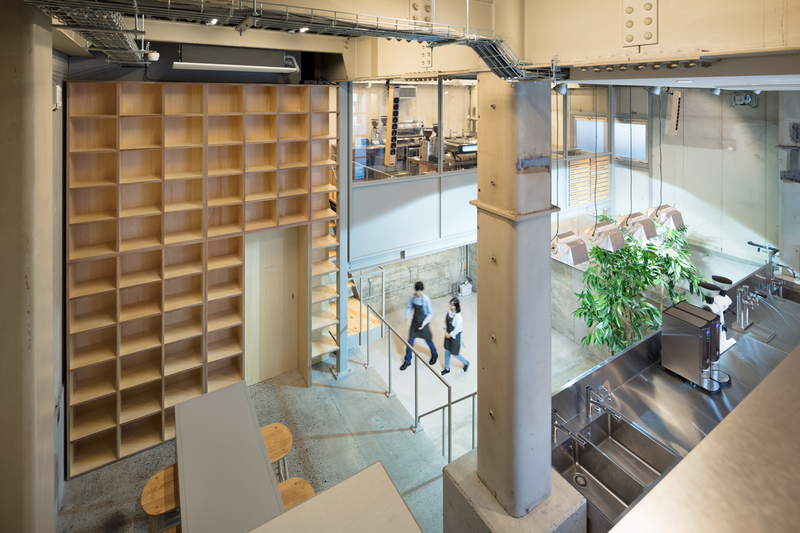 About nine years ago, we had co-established a shared office HAPPA across the street from the building and relocated our former office there; we employed to observe the neighborhood through the glass and this building was my most favorite among others on the street. 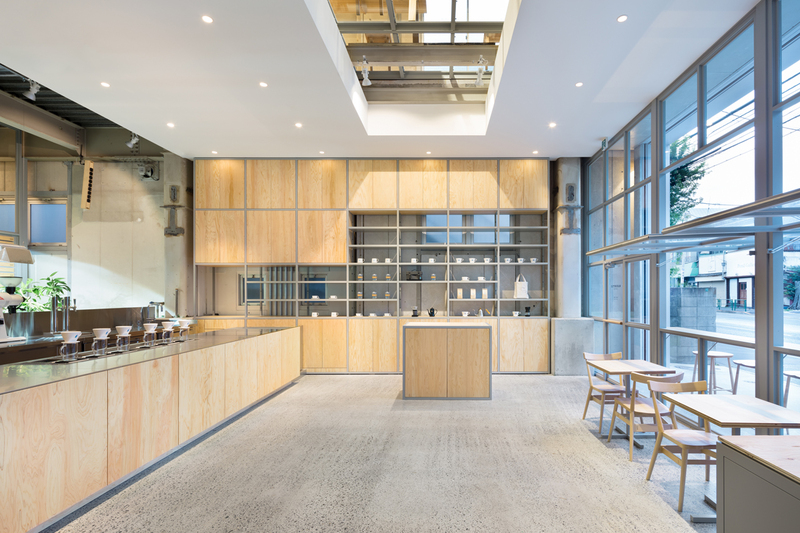 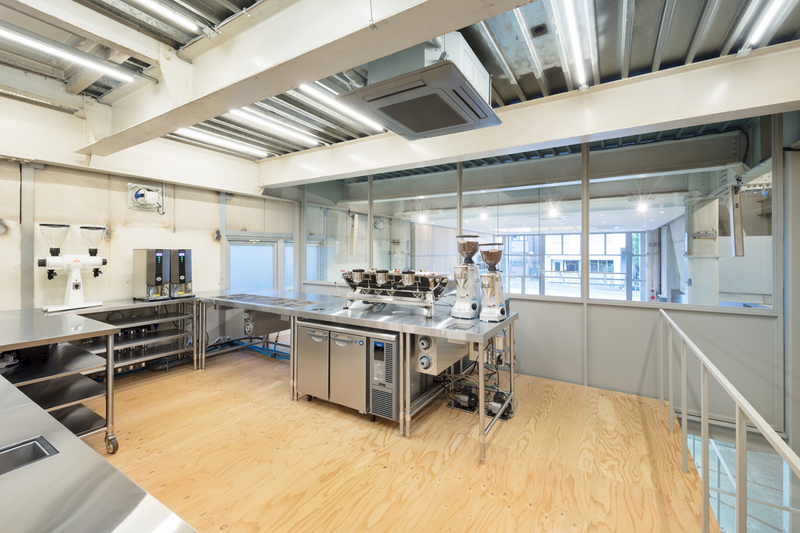 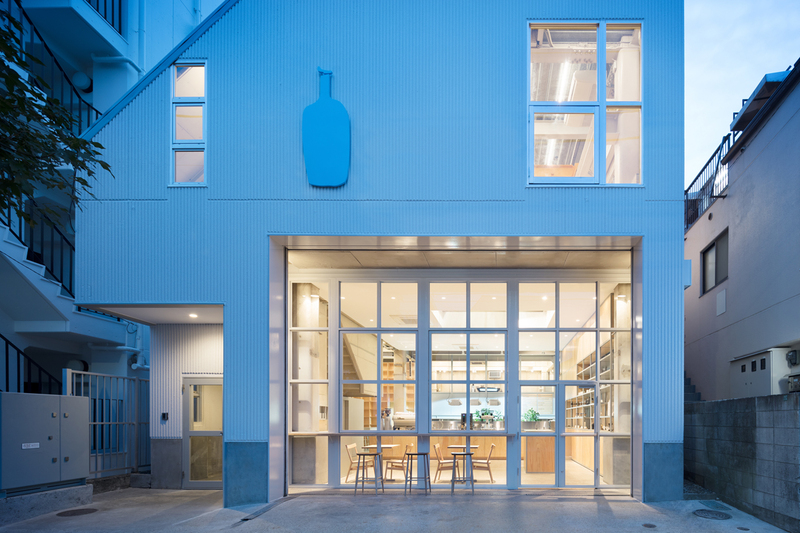 Incidentally, Blue Bottle Coffee decided to open their fifth shop there and we were commissioned to renovate the building to accommodate cafe/office, spaces used for barista training and workshop. 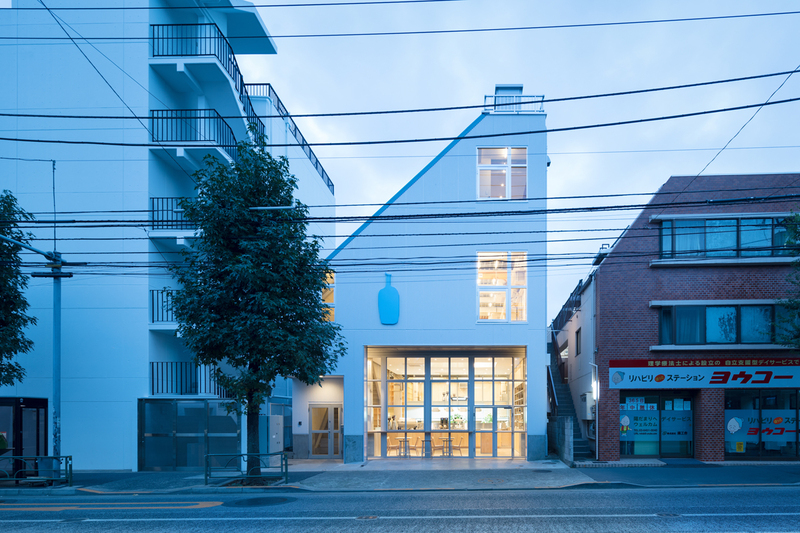 It was a three-story steel structure formerly used as an electric factory, and we intended to hereby create a “fair relationship” between all people present, which is our basic spatial concept for Blue Bottle Coffee. 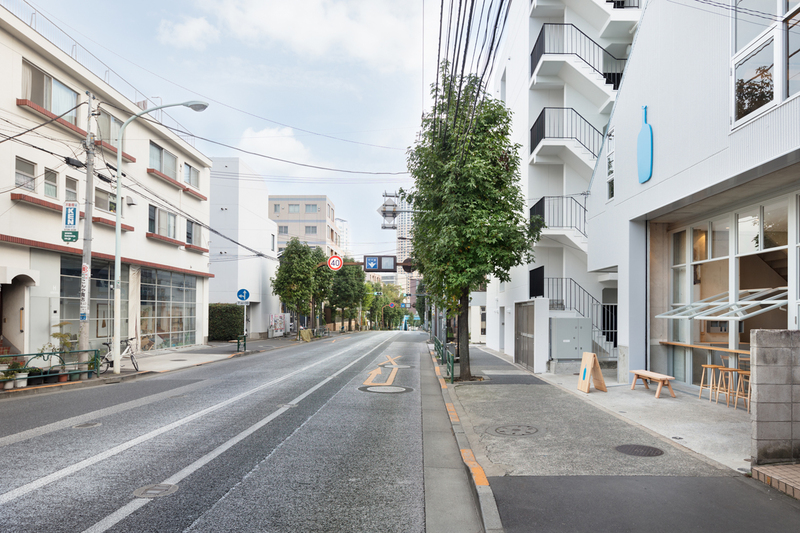 Since this neighborhood is located far from the station, the streets are lined with many unique and small-sized shops. 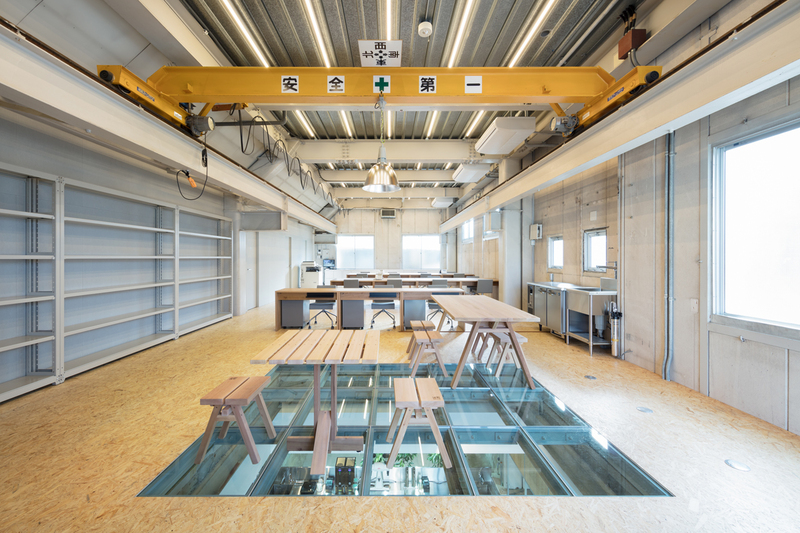 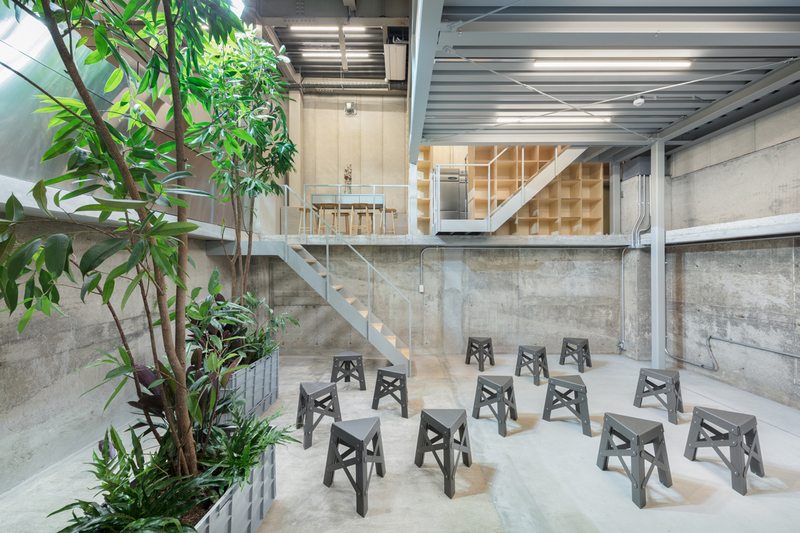 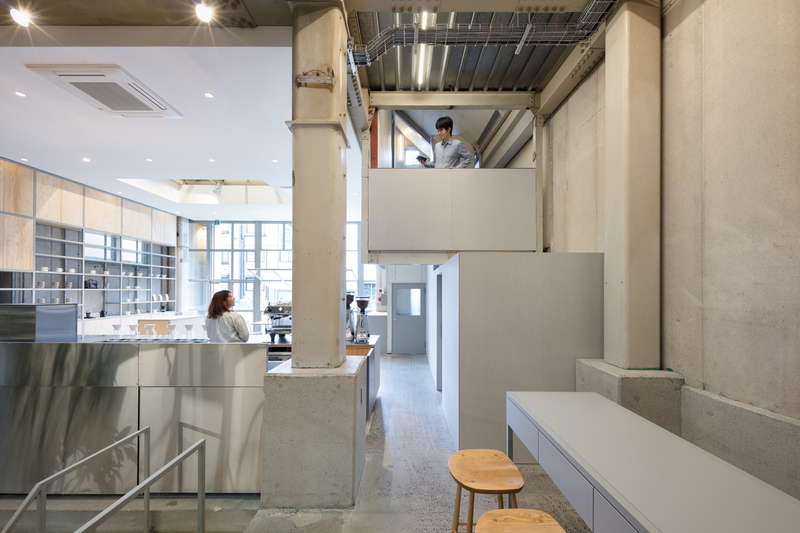 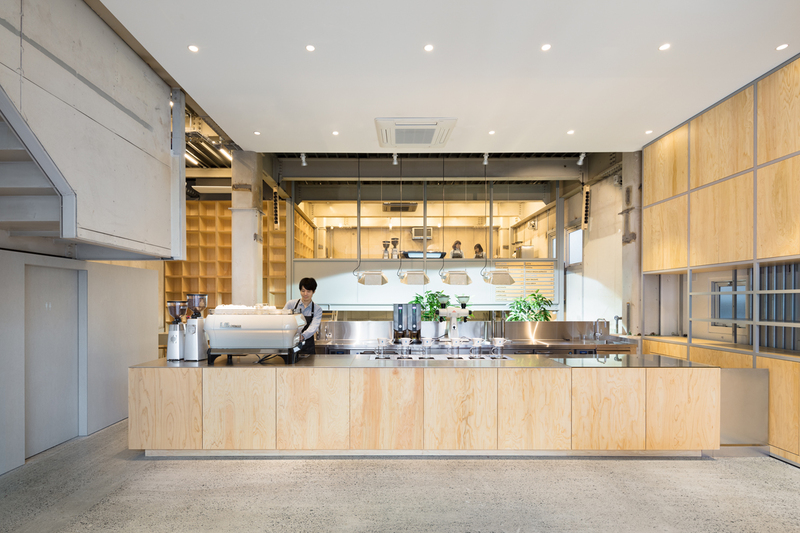 In order to continue the sense of small scale into the space, floors are divided in a stepped-floor style, while utilizing the existing openings formerly used for loading/unloading and storing. 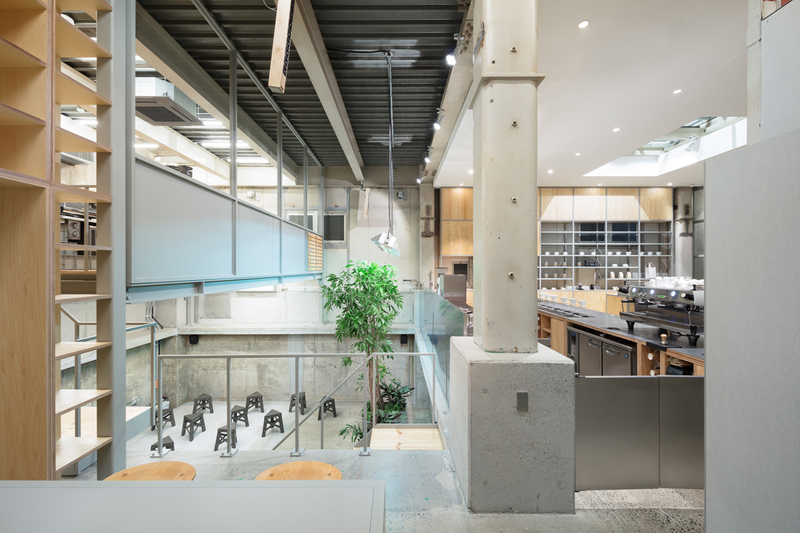 Horizontal pivot windows installed on the front glass façade help defining the boundary between the interior and the surrounding environment, while establishing a visual relationship of “see and be seen” so that people become aware of each other’s presence wherever they are in the space.